Valentine’s Day. Just hearing the words can set off a panic button for men and women alike. 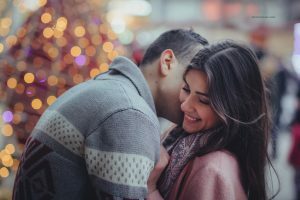 Whether you are single or in a relationship, this can be a holiday full of expectations, excitement, disappointments, stress and exhilaration all at once. There are two factions – those of us who are not in a relationship and those who are. If you are not in a relationship, Valentine’s Day can be a very upsetting day or even week. 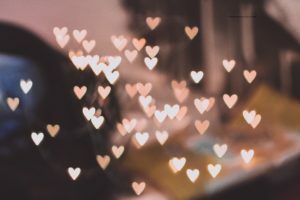 While we don’t live in Victorian times when if you weren’t married by age 25 you were an old spinster, it is still generally expected that you should be dating, in a solid relationship or married by most cultures. Rather than allowing yourself to be upset at not having ‘someone special’ to share the day with, find a way to enjoy the company of others who are in the same boat. Get together with a couple of single girlfriends and make a night of it! Grab a favorite comedy movie, set out a couple of trays of hors d’ouvres, some wine and make it a fun girl’s night. Buy a few face masks, put out a tray of nail polish with toe holders, fun glitter and a few towels for pedicures. You might even want to go to a local beauty store and get some washable hair color – the sky is the limit. Make sure to have lots of chocolate and maybe a rose for each friend to take home in a vase. Trust me, everyone loves flowers and the thoughtfulness will be appreciated. If you have friends who like to craft, purchase wine glasses from the local dollar store and oil-based Sharpie markers for everyone to decorate them to take home. Buy Styrofoam wreaths, a few glue guns and glue sticks, and a bunch of fake flowers and have a Spring wreath-making session. Purchase a 5 lb. bag of flour, butter, sugar, vanilla and a variety of chips and have a cookie-making night. There’s no rule that says you can’t throw in some wine and dinner as well. Maybe ask each person to bring a small snack or dessert. Keeping busy and having fun will keep your minds off anything negative and everyone will go home with something beautiful to remember a special evening with friends. If you have a lot of single friends of both genders, you may want to host a single’s dinner party with a theme. You can make it pot luck and have everyone bring their favorite dish, or settle on a cultural theme such as Mexican, Asian or Italian. Decorate and make little gift bags of silly things from the dollar store to send home with people just for laughs. Keep in mind that others are feeling sad and need a pick-me-up as much as you do! You may be surprised and find that doing something for others to make them feel better makes you feel better as well. You may want to embrace the Black Valentine’s Day of South Korea and just have a special day for yourself. Schedule a massage or facial. Get your eyebrows waxed. Find a local reflexologist and have your feet massaged and pampered. Light one of those aromatherapy candles. Order some take-out or delivery from your favorite restaurant and add an appetizer just because. Schedule something that you enjoy and embrace it. If you have a bathtub, take a bubble bath. Even if it means being by yourself, treat yourself like a Queen and allow yourself to be pampered. Put on your favorite music and sing along. As they do on “Grey’s Anatomy,” dance it out and enjoy being alive. If you are feeling altruistic and really want to get out of your own head and comfort zone, find a local food kitchen or shelter and volunteer to serve dinner. Go to a nursing home and offer to spend time with the residents. Find a local animal shelter to see if they need help. You can keep it simple and bake some goodies for your local firehouse. Even if you are in a relationship, whether dating or married, Valentine’s Day can still be stressful. There’s an expectation for both men and women to make the day and night extra special. Men are expected to give jewelry, chocolate and/or roses. Women are expected to buy something special for the man in their life, perhaps surprising them with new lingerie and a gourmet meal. Everyone creates their own annual traditions. While newer couples may choose to go out and have a meal at an overcrowded restaurant with ‘Valentine’s Day Specials,’ many older couples elect to stay home and celebrate with dinner brought in from a local favorite restaurant or cook a meal together. Don’t get me wrong, flowers, chocolate and jewelry are always perfect for Valentine’s Day. Bake a heart-shaped cake or cookies for dessert, or even chocolate covered strawberries, which are a special surprise. Break out a bottle of champagne and those glasses that are gathering dust in your breakfront. Set the table with the “good” China, because it really is a holiday. Dress up for each other. Sweatpants and T-shirts are not romantic. Regardless if you’ve been together 10, 20, or 40 years, celebrate a day dedicated to love. Make your own card or cook a special meal. Find the video or DVD of your wedding and watch it together. Take out your wedding album and share memories of your special day. Make it a point to spend quality time together. Put the cellphones and iPad away. Watch a romantic comedy together. Enjoy being with the person you love.